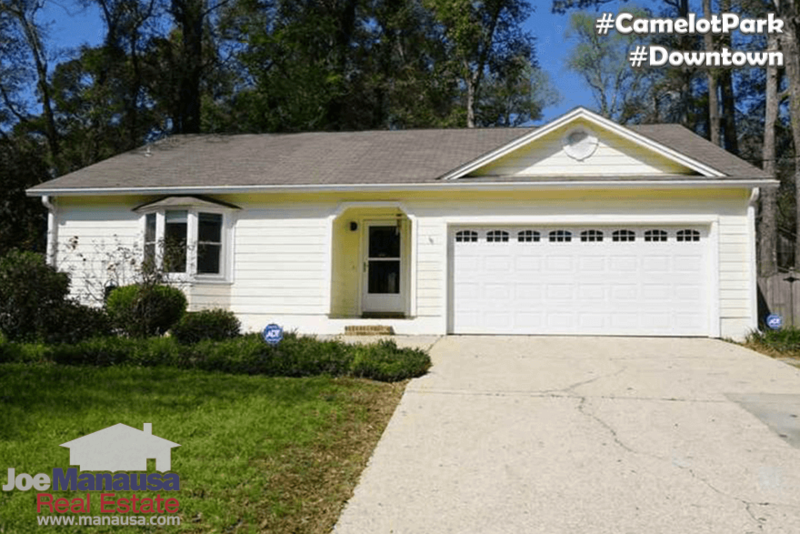 Demand for homes in downtown Tallahassee has fully recovered, and Camelot Park is one neighborhood that has much of what buyers are seeking. After all, roomy 3 and 4 bedroom homes with nice-sized yards just cannot be reproduced here any longer. 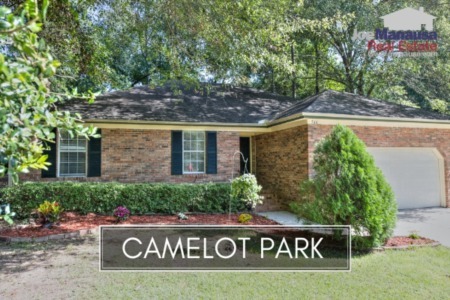 When you consider location, affordability and amenities, Camelot Park is hard to rival for Tallahassee's in-town buyers. Some of the nearby opportunities include dining, entertainment, the Governors Square Mall, Tom Brown Park, the Capital City Amphitheater, and many of other exciting activities. It is important to note that the narrative contained below is for sales through December for all previous years, but through the first week of April in 2017. The graphs and the closed sales table will be continuously updated into the future (meaning bookmark this page if you always want to know the current status of homes in Camelot Park). 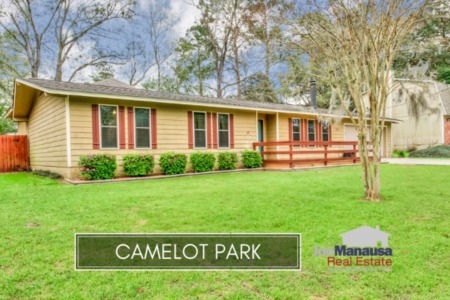 Average home prices in Camelot Park have jumped 10% higher thus far in 2017, up to $157,000, and there is still plenty of room for growth here. Remember, these are single family detached homes in a contained downtown neighborhood, I think they are undervalued by a very large margin right now. With the lion's share of distressed homes in Camelot Park already being sold, you can expect homes here to sell under more "normal" conditions like we've seen over the past 30+ years. The pace of home sales remains healthy, even after last year's very strong year. Homeowners who have been sitting on the fence about selling should discuss options with a competent real estate professional. Currently, seven homes are on the market, and three of them are already under contract. Average home values in Camelot Park have rocketed up 29% this year, primarily because of three important factors. First, no distressed sales mean homes are selling at market value, secondly, Camelot Park has been undervalued for far too long, and third, smaller homes have sold thus far this year (smaller homes typically sell at a higher price per square foot). We projected this would happen in our last report on Camelot Park, so those that bought at crazy low-values in the past few years should be very excited about the equity they've gained. Expect to see the average soften a little as the larger homes get bought and sold, though values will still be up significantly in 2017. The 4 homes that have sold this year went for an average of $120 per square foot. The average size of a home sold in Camelot Park typically falls in a range of 1,400 square feet to 1,650 square feet, and early 2017 has seen the smaller homes sell. The 4 Camelot Park home sales in 2017 have averaged just 1,309 square feet, which explains a healthy portion of the explosive gain in price per square foot. I hope you enjoyed our April 2017 update on home sales in Camelot Park, please feel free to drop me a note if you have questions not covered in this report. If you think we cover more in-depth information about Tallahassee and its most popular neighborhoods than any other of real estate website, please be sure to share us with your friends!